Arrived in Sydney and having been met by the boys we dropped our stuff off at their gorgeous Darlinghurst flat and headed up into the Blue Mountains for the three hour drive to the Jenolan Caves. 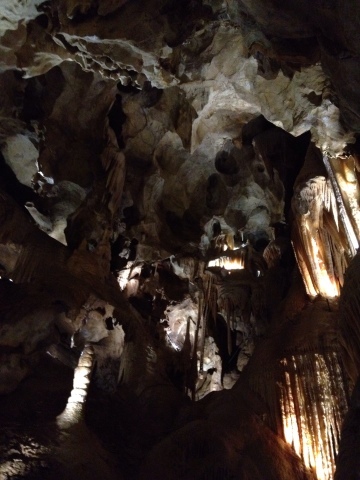 We spent the night in Cave House and the next day five hours underground marvelling at the wondrous 'mites and 'tites. We didn't find any bears but there was plenty else to gape at.